It seems fitting that The Weeknd, who built his early catalog on mystique and myth-making, opens his sophomore album, Beauty Behind The Madness, with a song called “Real Life.” His breakout 2011 mixtape trilogy—highlighted by opener House Of Balloons—capitalized on the mystery surrounding his identity, but ever since his debut, Kiss Land, collapsed trying to replicate PBR&B’s amorphous, trippy aesthetic, he’s crossed over as a more open and polished figure, stepping out of the sketchy, dark backroom of the club to make music for the people dancing in it. 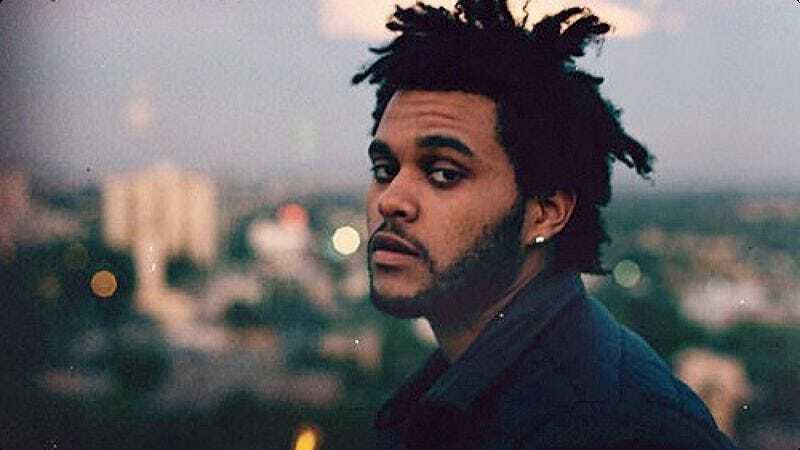 Last year, The Weeknd seemed to consciously pivot toward songs equipped for Top 40 radio, starting with a pop collaboration with Ariana Grande, “Love Me Harder.” After finding renewed life as a soloist with “Earned It,” the lead single from the Fifty Shades Of Grey soundtrack, he’s solidified his pop stardom with the upbeat, Max Martin-produced “Can’t Feel My Face,” a chart topper that warps a coke high into a flirty profession of affection with clever songwriting. Despite supposedly “selling out” to mainstream audiences, sharing a stage with Taylor Swift, and getting billed to perform at the 2015 MTV Video Music Awards, at his core The Weeknd has never truly changed. “Often,” the album’s Trilogy-esque lead single, which was recently certified platinum on the strength of his pop renaissance, proves this. He’s done a brilliant job reconstructing his narrative by simply altering his approach. There have been little tweaks here and there—subtler writing choices, more deliberately traditional song structures, and more expensive collaborators (Martin, in particular) focused on giving shape to his once shapeless and murky universe. 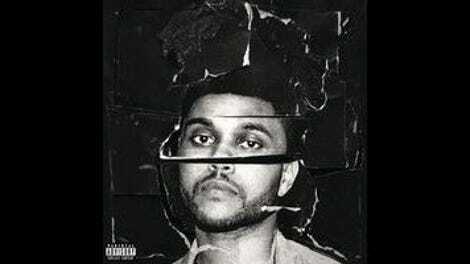 But the undertones are still noticeably dark and the lyrics are often raw and emotionless (on “The Hills”: “When I’m fucked up, that’s the real me, babe.”) With Beauty Behind The Madness, The Weeknd successfully creates space for self-discovery outside of a drug coma, reconciling who he is and has always been with who his fans and critics believe he’s becoming. On the Kanye West-produced “Tell Your Friends,” over slow-rolling piano chords, The Weeknd hunkers down into a rap-like cadence, professing, “Last year, I did all the politicking / This year, I’m all focused on the vision / I think the hos deserve another fixing / I’m talking ’bout the ones from the beginning.” It’s an admission that beneath the radio-friendly veneer lies the same guy who just last year penned a lewd verse for Ty Dolla Sign’s “Or Nah” remix. Beauty Behind The Madness works hard to satiate both longtime addicts and pop-leaning newcomers, and the sequencing prevents them from being at odds with one another. Songs like “Acquainted” and “Shameless” sound like remastered versions of Thursday and Echoes of Silence deep cuts, with the latter isolating his pure tone. They bookend “Can’t Feel My Face,” which remains a highlight. The Ed Sheeran duet “Dark Times” falls flat because of its mishmash components, but the Lana Del Rey-featuring “Prisoner” is a sound pairing on all fronts, wading through familiar territory for both gloom casters. The moment that best marries “Old Weeknd” aesthetics with “New Weeknd” stylings is “As You Are,” a mellow soft-rocking jam that thrives under an ominous cloud. The song efficiently encapsulates what makes Beauty Behind The Madness a crossover hit: It expertly and carefully closes the gap between The Weeknd’s perception and his reality.